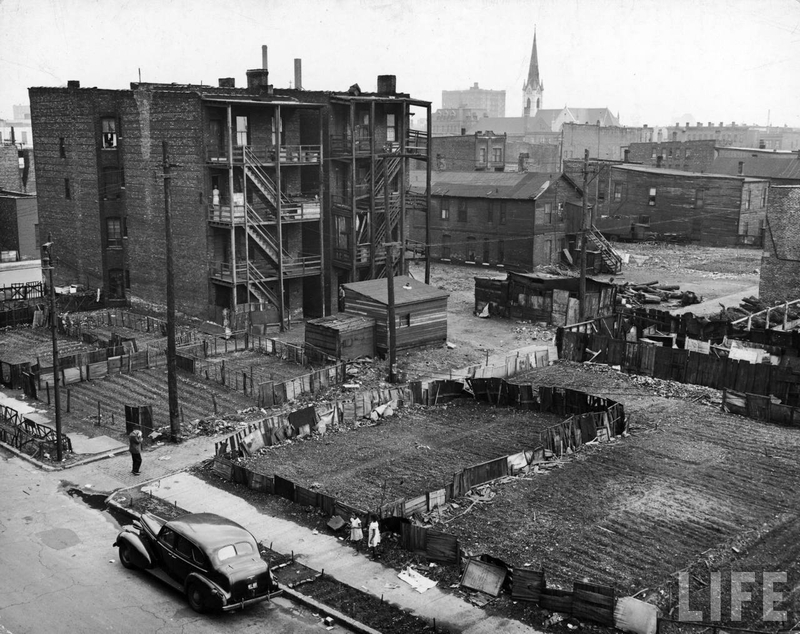 Existence in Chicago’s South Side in the 1950’s was harsh. 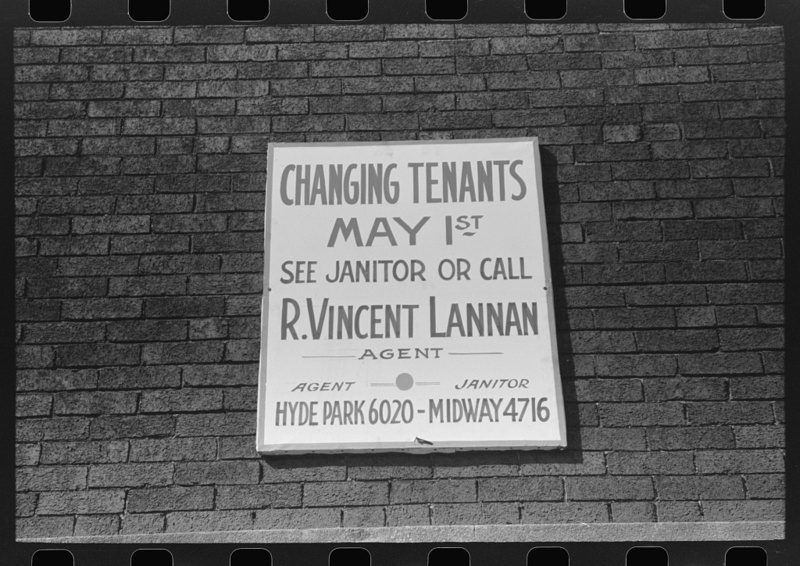 Discriminatory housing policies meant that the majority of African American families lived like the Youngers, in kitchenette apartments – larger apartments were broken up into several smaller homes, with a very small kitchen and one bedroom. 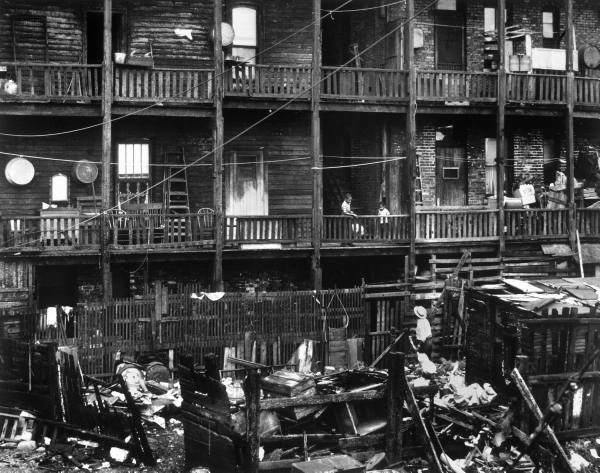 Entire families lived in these apartments, and usually shared a bathroom in the hallway with others on the floor. This is what the Younger family in A Raisin in the Sun is fighting so hard to get out of – overcrowded spaces both inside and outside of their apartment walls, which are crumbling around them. What happens when a family – or a whole city full of families – is pushed to the brink like this, where even getting up in the morning involves a fight with those around you? Black, Timuel D. Bridges of Memory: Chicago’s First Wave of Black Migration. Evanston: Northwest University Press, 2003. Miller, Wayne F. Chicago’s South Side: 1946-1948. Berkeley: University of California Press, Ltd., 2000. Satter, Beryl. Family Properties: Race, Real Estate, and the Exploitation of Black Urban America. New York: Metropolitan Books, 2009. Timuel Black’s book Bridges of Memory is awesome, one of my favorite possessions. Still sharp, saw him talk to a room full of high school kids in Bronzeville and keep them captivated. You’re so right – it’s a great book. Full of fantastic stories – that kind of oral history is so vital!